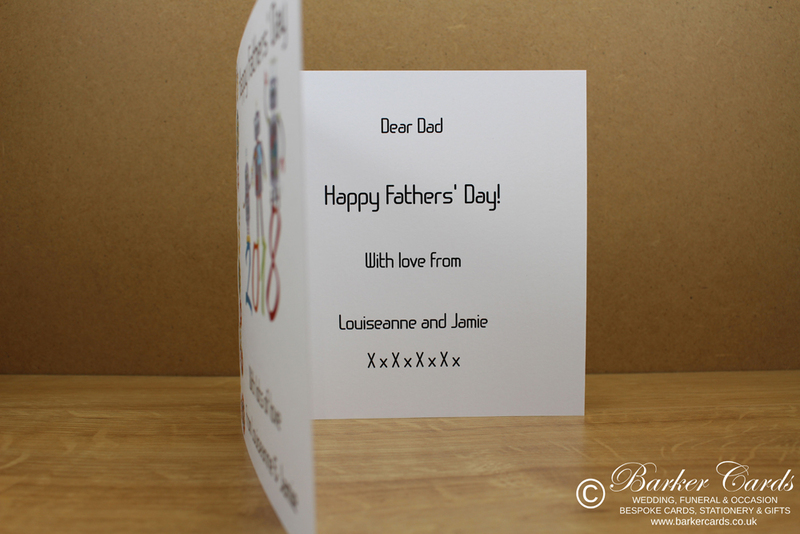 This fathers day card features a space for the name of the recipient to be printed making it very personal and includes. 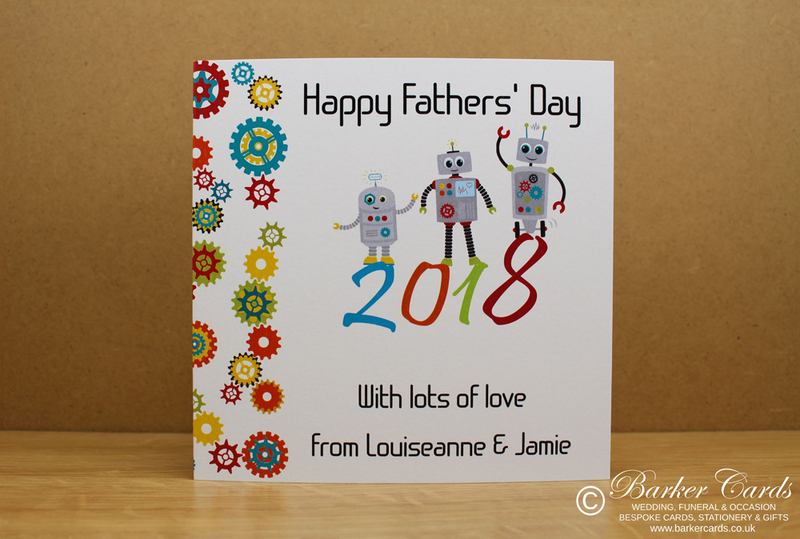 As our fathers day cards are all printed to order, we can provide a very personal service including a special message on the inside of the card and printing the recipients age or nickname on the card. If you have a particular theme in mind, just get in touch and we'll do our very best to meet your requirements. Please contact us to discuss your order. and to order using product code FDC01.